Celtic goalkeeper Craig Gordon’s 2018 has certainly been memorable, if not always for the right reasons. First came the accidental collision with former team-mate Efe Ambrose during a 2-2 draw with Hibernian in January, damaging his medial ligament. The prognosis was that he would be out of action until the end of this month and, possibly, might not return until next season. Fortunately, he was back in training four weeks ahead of schedule. Less happily for him, Scott Bain, who had been signed on loan from Hibs via parent club Dundee as back-up for second-choice ’keeper Dorus de Vries, had performed impressively after coming in for the Dutchman when he pulled out of the match against Rangers at Ibrox, also due to injury. Part of the loan agreement for Bain meant that he was not allowed to face Dundee in Wednesday’s 0-0 draw, which paved the way for Gordon to return. Due to the wear and tear on his knee joints, the 35-year-old – along with Kieran Tierney and Leigh Griffiths, who are also returning from injury – will not feature against Hamilton on their dreaded plastic pitch today, with Bain likely to make his fourth appearance for the champions. However, manager Brendan Rodgers made it clear that Gordon can expect to be handed the jersey for the Scottish Cup semi-final against Rangers at Hampden in seven days’ time. “There is no need to convince me when it comes to what Craig has done for me since I’ve been here, and it was brilliant to see him back in goal the other night,” said the Irishman. “[His situation] is something we will have to look at this weekend, coming back from injury on that pitch. We have a number of players we have to think about. It isn’t the ideal game to have going into a semi-final, so we have to weigh that up. “Craig has been absolutely outstanding for me in my time here. To think he actually came in here just to train and was given the opportunity to come in by the previous manager [Ronny Deila] and [goalkeeping coach] Stephen Woods. “To then get in the team and play and get 100 clean sheets… I’m delighted for him because I’m sure he has gone through some tough times when he has had these injuries. Rodgers also defended the January signings of defender Marvin Compper from RB Leipzig and Charly Musonda, who arrived on loan from Chelsea. 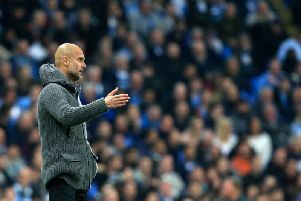 Neither player has enjoyed much in the way of game time but the manager argued that the fans will see more of both next season. “They were coming into a really established group and I think what was important for us was the qualities they brought in, especially Marvin, who brings a lot of experience with him. “OK, he was injured towards the end of our training camp in Dubai and that meant others came in ahead of him and did well. He respects that – Kris Ajer has come in and been great. “That’s how football works and, for me, it’s irrespective of age or status. Ajer has played well so he’s in the position to play. It’s about taking your opportunity when that comes.